Paragliding as an adventure sport was introduced in India in 1991-92, when a team of foreign pilots decided to explore flying possibilities in the Kullu Valley. 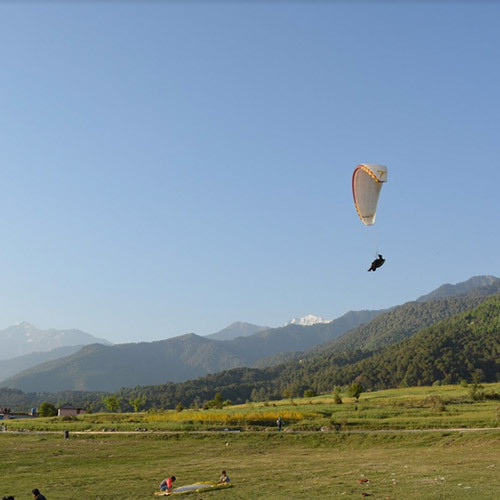 Since then paragliding has seen a tremendous increase in popularity and in the last few years, paragliding places in India have mushroomed all over. From the mountains in the north to paragliding over the Rajasthan desert, and from the hills of Karnataka to the coastal regions and hill stations of Maharashtra, there are plenty of great paragliding places in India for you to kit up and fly like a bird. Paragliding is the recreational and competitive adventure sport of flying paragliders, using lightweight, free-flying, foot-launched glider aircraft with no rigid primary structure. Paragliding is the closest you can get to the feeling of flying like a bird. The pilot sits in a harness suspended below a fabric wing comprising a large number of interconnected baffled cells. Once in the air, a pilot is able to maintain and even gain altitude using lifting air currents and thermals. If you’re not trained or licensed, you can still go tandem paragliding. For an unlicensed, inexperienced adventurer, a certified instructor will take you up. The paraglider is equipped with two harnesses, so the instructor is strapped in behind, and controls the aircraft. You’ll be seated in front, in your own harness, and have to do nothing except sit back and enjoy the ride. The Himalayas are rife with ideal paragliding places, thanks to the high hills and mountains, and the long valleys that direct the winds upwards. The best and most popular paragliding place in India is Bir Billing in Manali, Himachal Pradesh. Bir Billing has an altitude of 2600m and is surrounded by beautiful tea gardens. 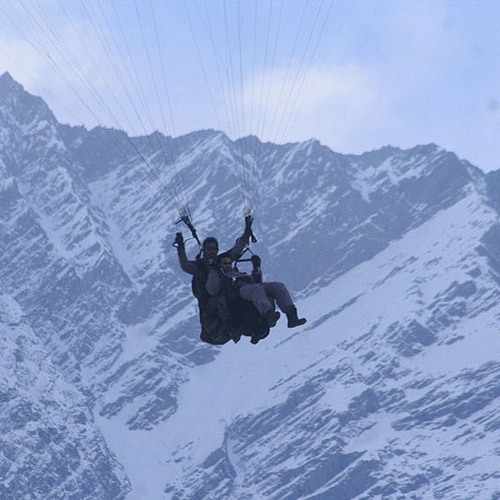 Solang Valley and Marhi are two of the other most prominent spots for paragliding in Manali. Here you can do tandem paragliding, expedition paragliding and trans-Himalayan paragliding flights. Paragliding is available throughout the year except during the monsoon. Another great place is Nainital as paragliders take off from 2000 meters up and fly over Nainital’s famous lakes, Naukuchiatal and Bhimtal. 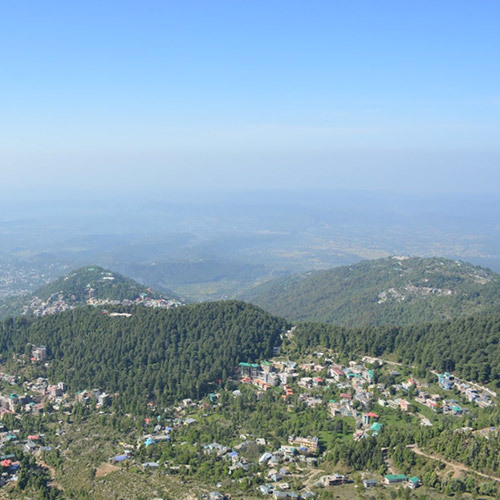 You can soak in the crisp mountain air as it gently caresses you, and get views of the spectacular landscape below. Bedni Bugyal is a Himalayan alpine meadow in Uttarakhand, and is pretty as a postcard. From here, you’ll get breath-taking views of the Himalayan mountain ranges and meadows, which makes it a dream destination for high flyers. 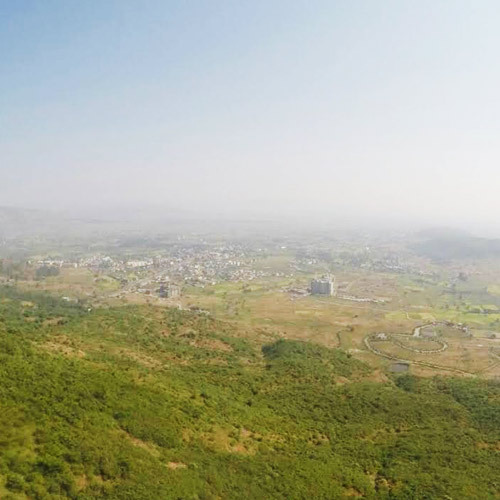 Paragliding over the rolling landscape of Kamshet is an unforgettable experience. The weather and wind conditions here are favourable almost all year round, and there’s plenty to look at below: the green landscape dotted with hills, lakes, and with railway tracks running across. Let the pilot do the work while you enjoy the ride, without worrying about anything. Kerala, or God’s own country as it is better known, is legendary for its natural beauty. Criss-crossed with sparking rivulets, the land also features dense forests with high waterfalls and emerald green fields. At nearly 6,000 ft above sea level lies Vagamon, a hill station that is ideal for paragliding. The paragliding Grand Prix is held here during September and it brings together paragliders from across the world. Nandi Hills, 65 kms is outside Bangalore is the perfect terrain for paragliding. These hills attract a lot of adventure enthusiasts from the Silicon Valley, especially those interested in light aviation.